Our Gift Tins are an excellent way to enjoy all of your favorite Karmelkorn flavors. Select up to three different fantastic flavors. Handmade fresh daily, sealed, and shipped to ensure our customers receive the premium Karmelkorn experience. The Gift Tin is a perfect treat for yourself or a gift for family and friends. 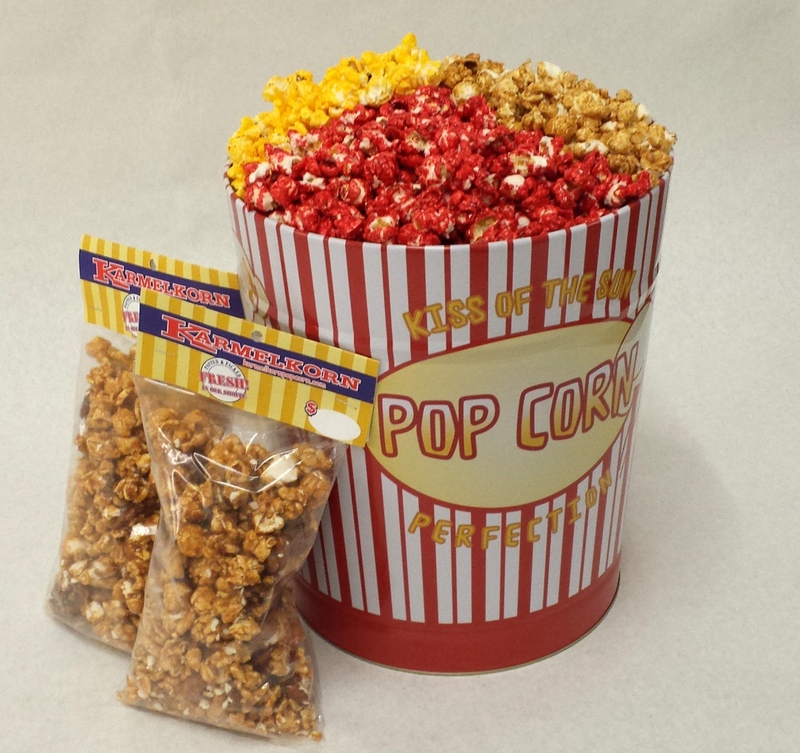 Get your popcorn delivered to your home or business in our Gift Tins!